It’s Friday morning at 2am and jet lag has turned my head into a solid block. I’m still nursing a strange, low-grade fever and a distant sort of headache. The house is quiet. I got home from Northern Iraq a little over 24 hours ago. There are things I will not forget. There was the way we descended into Sinjar City on a winding piece of road, down into buildings now nothing more than booby-trapped rubble. The grassy field on the entrance to the city covered a mass grave of 75 men and boys, killed by ISIS. Here, an exposed femur. There, a small patch of poppy flowers, growing wild. Our guide said a tiny skull used to be visible, but grass and weeds now hid it. And then, in the middle of that city, in the very center of what appeared to be a lifeless place, a playground, and laughing children. There was the breathless sound we all made, walking quietly through an abandoned ISIS tunnel, our flashlights bobbing. There are things I will not forget. Maile and I were spending one last night together, just the two of us (plus Poppy) in a hotel. We thought it would be nice to get away for a night before I went to Iraq and died in a blaze of glory. I say that tongue-in-cheek, but it’s funny how carried away your imagination can get. Fear, like hope, is a thing with feathers, and it will fly out beyond your reach, if you let it. Toward the end of the day, as we settled into the bed in our hotel room, I checked my email. I sighed. I paused. I tried to insert some humor. She only stared at me. She didn’t blink. Then she rolled over in bed and faced the other direction. My Tuesday flight from Harrisburg to Chicago was uneventful, and in the windy city I met up with the Reload Love team: Lenya, the founder, a strong leader and wonderful human being; Jen, the director, the one who knew everything and had anything you could ever need; Murray, an Aussie version of MacGyver who was also a mean guitar player; and Nick, entertainer and camera man extraordinaire. We had dinner together, got to know each other, and then boarded a 12-hour Royal Jordanian flight to Amman where we’d meet up with some of Reload Love’s partners during a 36-hour layover. 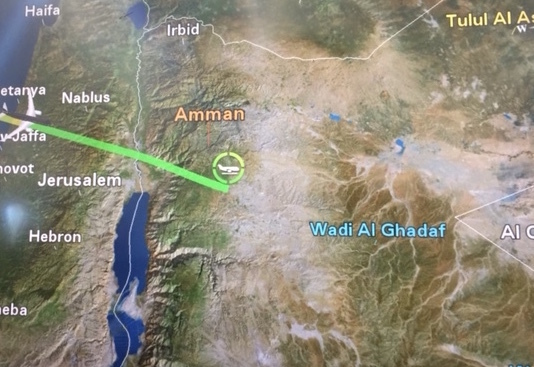 The flight was bumpy, and when we landed in Amman, the passengers cheered. It makes me nervous when people cheer a successful plane landing – it makes me feel like there was something I should have known about. Outside, the landscape was covered in a dusty haze. Nick leaned over towards me. “Welcome to the Middle East,” he said with a grin on his face. I have strange dreams now that I’m home. I dream of checkpoints we cannot get through, and desert roads lined by bottomless canyons. I dream of getting beat up by border guards. I dream of my children dying. I wake up again, sweating. I go downstairs and turn on the stove, heating up the kettle. I watch as the tea bag stains the water. I sit at the table in front of my glowing computer, and, again, I listen to the quiet. Shawn. Cheering your journey on. You’ll be safe!